Rockledge, FL (October 14, 2016) - Last week at the Innovation Awards Breakfast for the 2016 International Boatbuilders Exposition & Conference (IBEX), Roswell’s Triton Rack was selected as an Innovation Award winner above more than 20 other entrants in the Deck Equipment & Hardware category. Additionally, the new rack has been recognized as one of the Top 5 new boat accessories unveiled at IBEX 2016 by Boat.com. IBEX is the marine industry’s largest technical trade event, owned and produced by Professional BoatBuilder magazine and the National Marine Manufacturers Association (NMMA), and annually gathers thousands of industry professionals. This year 85 different entries across 13 categories were evaluated by a panel of judges, hoping to highlight the best and most innovative additions within the industry. 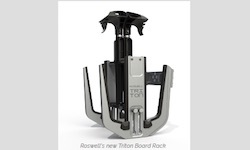 The Triton Rack embodies that innovation. 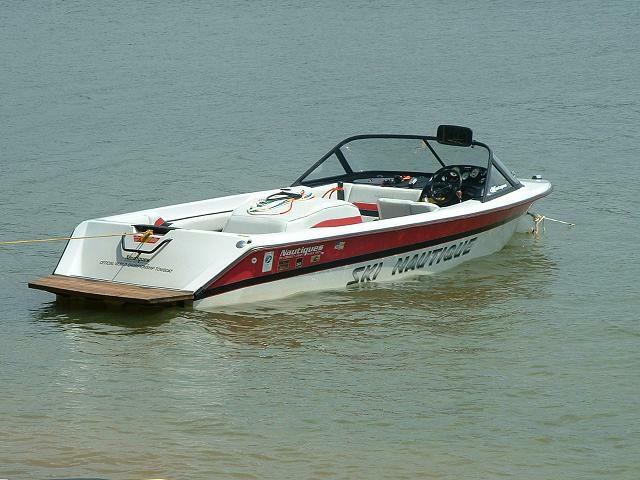 Any way you look at it, Roswell is once again setting new standards in marine innovation and design, and is ready to take your wakeboarding/wakesurfing experience to new heights.